In a 3 – 4 quart crock pot mix the turkey gravy and chicken broth. Whisk until totally incorporated. Add the turkey and vegetables. Cook on low for 4 – 5 hours or on high for 2 – 2 1/2 hours. The last 15 minutes of cook time add the cooked egg noodles and stir to incorporate. Serve with muffins made from leftover dressing or stuffing. 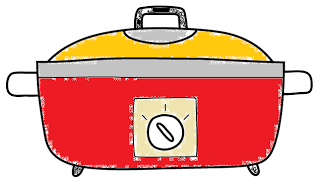 Share a crock pot recipe. I know you do a lot of great things with Thanksgiving leftovers on the stove top and in the oven, but share with us what it is that you make in the crock pot. Make sure it is a link to your direct post and not to your home page. This way everyone will be able to find the recipe forever. Don’t forget to mention that you shared your recipe here and link back to this post (just good blogger etiquette). 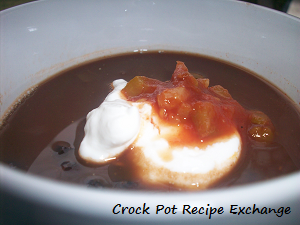 This is a way for all of us to meet other crock pot lovers so have fun!